How does filtered music sound? What is your tinnitus frequency? Select the music files on your computer you wish to use for therapy. 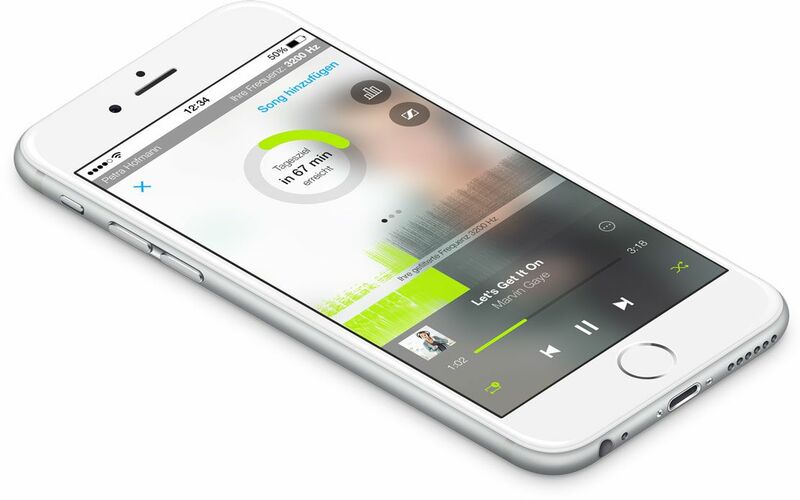 This App filters, analyses and optimizes your music based on your tinnitus frequency. Tinnitracks is a web application which allows you to filter your music in order to use it for a new tinnitus therapy that is endorsed by the latest neuroscientific findings. Tinnitracks also highlights your music with a high therapeutic potential thanks to the individual analysis of every single file. (½ octave below the tinnitus frequency). What do I need for this therapy? While different types of therapy used in the past generally only treat the symptoms of tinnitus, Tinnitracks targets the cause of your tinnitus by simply letting you listen to your music after it has been filtered. Tinnitus is caused by abnormally hyperactive nerve cells in the brain's auditory center. This hyperactivity can be soothed by listening to the individualized filtered music which leads to a long-term tinnitus relief. The effectiveness of this therapy has been studied and approved in clinical studies. Please note: This track was filtered, its therapeutic potential was determined and it was saved as MP3 in a therapeutically correct way – all done in Tinnitracks with just one click.